Local Women In Music – The Stunning Teresa Topaz! 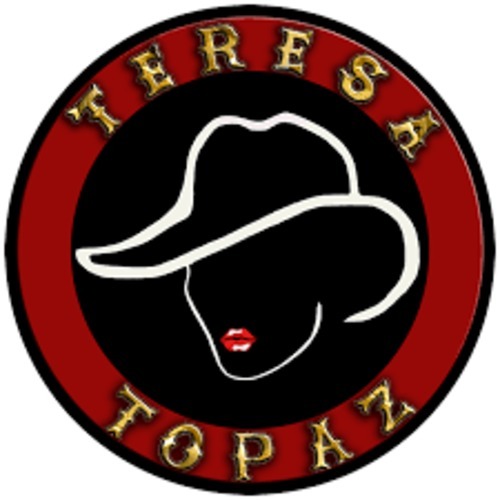 “Get that filly over here with her gee-tar, and let’s hear some sad stories of broken hearts and bad hair days…” These are the kinds of comments that Teresa Topaz hears when the ignorant are being ignorant of their volume as well as their ignorance. Being an ambitious woman in this country is challenge enough. 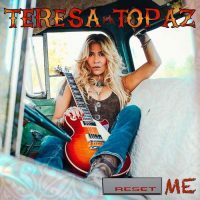 Playing hard-hitting Southern Rock as a “female solo artist” in a male-dominated industry is an ongoing series of obstacles, but Teresa sees those obstacles as opportunities for growth, memorable stories, learning experiences, and inspiration for the passion that drives her to keep making her aggressive and powerful music. Teresa Topaz is truly charming, but she can’t help it…she’s a girl, right? Growing and evolving are essentials for any successful musician. Teresa has taken the time to learn about her audience. When she writes a song, it’s an expression of herself – but she is considerate of who is listening. She also has invested the effort to learn how to advocate for herself, creating a very inviting press kit, and making her music very accessible online. Teresa is active in social media, and keeps her fans updated on all upcoming shows. These actions may seem like obvious necessities, but she is an outstanding professional representative of her genre and her profession. Teresa never stops looking for new ideas to get her music out there. She is invested long-term. Music is her life, and she wants to have a long, happy, successful life! The stories Teresa has collected are fantastic content for stage banter, If she writes an autobiography, I will be purchasing it. A beautiful and approachable woman, Teresa could probably also write a book of fantastic pick up line fails…I’ll buy that one too. Having a conversation with this quick-witted woman is like reminiscing with an old friend – and she carries that through in her performance. 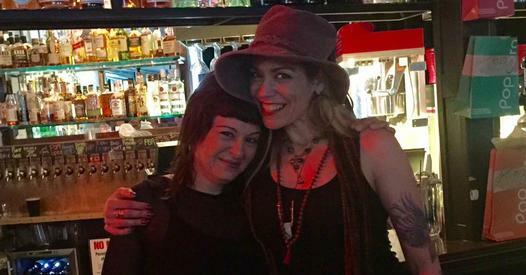 Teresa Topaz has played every instrument (with the exception of bass) on her backing tracks, produced with sound engineer Tim Biedron. Working with the tracks allows her to produce a full sound, while being free to improvise and add personalized touches to each performance. Right now, Teresa is making a name for herself in Portland, Oregon – not an easy task, considering the unbelievable number of working bands that form, play, and break up every day. She’s not content to be local only, however. She has stories to tell and music to share – music that makes people happy and excited. Teresa hopes to inspire and encourage fans all over the world for decades to come. Her album “Reset Me” is available now on her homepage, Amazon music, SoundCloud, ReverbNation, CDBaby, Spotify, and ITunes. 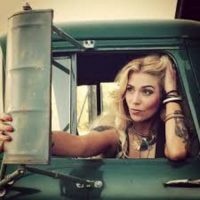 She plays Thursday night 4/28 at Music Millennium, 6PM, Free Show! Portland Notes will be there!